As far as internet marketing and social media marketing go, you’ve probably at least heard about SEO. Search engine optimization is a concept within marketing that is as important as virtual networking or website development. If you’re going to take your rightful place at the top of the Google search results, then you need to learn how to apply search engine optimization to your current marketing goals. With www.InternetMarketingX2.com in your corner, we’ll show you how to apply SEO to what you want to do with your brand management ambitions. We will then supplement this knowledge with SMO. While social media optimization is a relatively new concept, one that is at least a bit more recent than search engine optimization, it is just as important as search engine optimization. We will show you how these things can be approached separately, as you’re working to define the various components that will make up your overall marketing campaign. 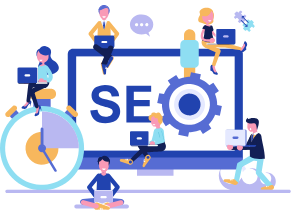 We will also work to show you how SEO and SMO can work together, in order to create a marketing approach that is going to leave your competitors in the dust. As you might have guessed, social media optimization ultimately comes down to promotion. It involves looking at the social media hubs currently being utilized by your company. Content must be created for each of your social media hubs. It needs to keep in mind what visitors will want from a Twitter page, a Facebook account, or an Instagram page. It needs to deliver this experience, while also keeping in mind that all of your social media sites are ultimately trying to do the same thing: Get your business noticed. This means creating a variety of single experiences, all of which are trying to cooperate to meet the same goals. SMO is going to work with all of this. Search engine optimization is the concept by which content is created, according to the keywords and phrases that are most commonly associated with your website. SEO content has to be carefully researched, while also keeping in mind that people are not going to be interested in content that doesn’t come across as natural. You want the most organic SEO content possible. You also want to remember that search engine optimization can also involve working with social media optimization. Both of these concepts can assist and enhance the other. Facebook, WordPress blogs, YouTube, Twitter, Google+, and Instagram are just some of the things you’re going to look into, when it comes to SMO and SEO marketing. Unique solutions will be developed for every possibility that is not only available to you, but for every possibility that makes sense for your specific brand. The marketing strategies behind social media, WordPress sites, and other components amounts to a range of creative options. Creating these options, and then putting them into action, is not as difficult as some might lead you to believe. We’ll show you what needs to be done, and we’ll get started at once.